A cable railway or Seilbahn is a usually very short strectch of railroad on a steep hillside where two identical coaches are tied at opposite ends of a cable. Moving the cable moves both coaches simultaneously. 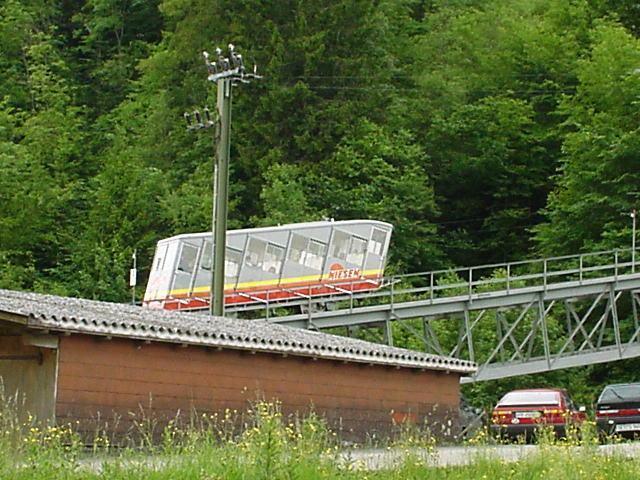 This type of "Funiculaires" are fairly common in all the Alpine countries. Since there are so many of these small, steeply climbing private mountain railroad lines, it doesn�t make sense to build separate pages for all of the companies. They are in this archive shown all on this page no matter if they are technically cable railroads or freely moving cog wheeler trains. 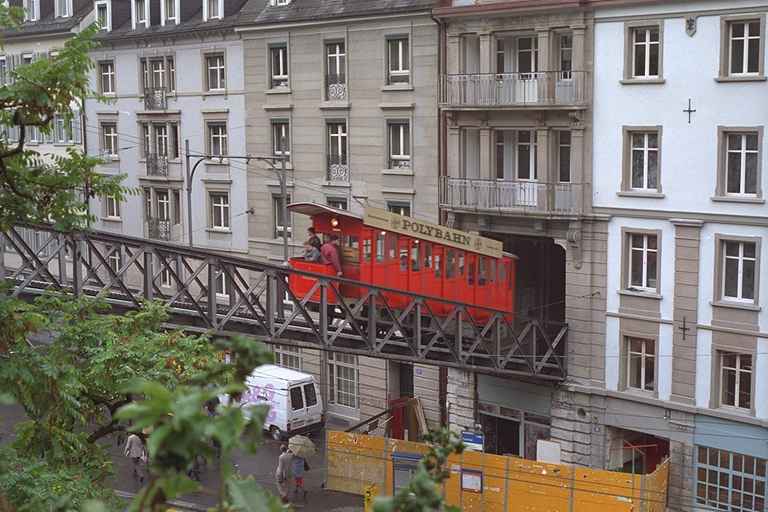 This short cable railway called "Polybahn" connects the famous technical university ETHZ, Eidgen�ssische Technische Hochschule Z�rich to the square aptly named "Central" down by the Limmat river valley at the very heart of Z�rich. The funicular was built already in the 1800s, but has been recently thoroughly modernised. Niesenbahn is a small mountain train. 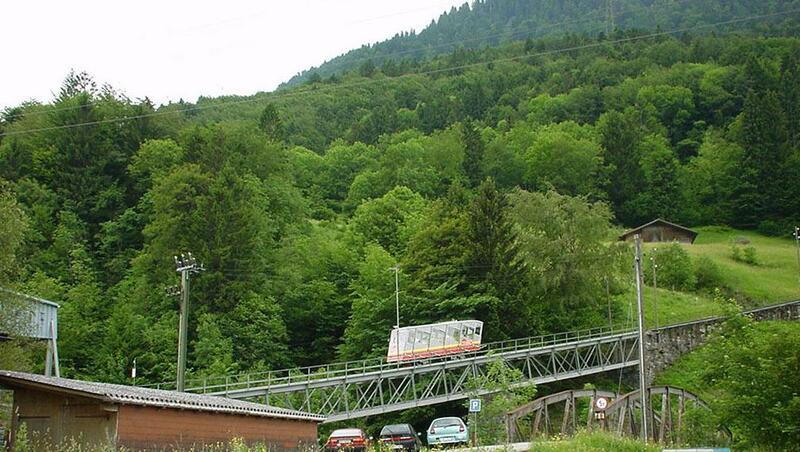 It is not a "Seilbahn" but it works using cog wheel technology, with independent coaches. Niesenbahn is located in the mountain valley which leads from Thun and Interlaken south towards L�tschberg and Kandersteg, the Engstligental. It rises from M�lenen, a small village and station in the valley by the BLS L�tschberg line to the peak of Niessen, 2362 metres high. Another view of the Niesenbahn mountain train, very similar to the famous Pilatusbahn close to Luzern. The track starts from M�lenen by crossing a bridge over the river Engstlige; even there the track is climbing pretty steeply up.